Senator the Hon. 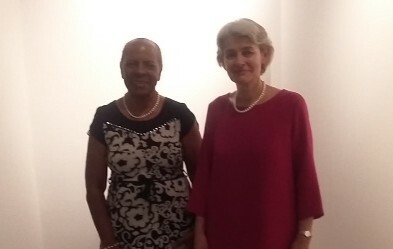 Brenda Hood, Minister for Culture and Heritage, attended the Ministers of Culture 3rd Meeting of the Community of Latin American and Caribbean States (CELAC) and the 6th Meeting of ALBA CULTURAL in Cuba from the 17 to 19 September 2015, under the theme “Culture as a Means of Promoting Identity and Integration”. The 33 member states grouping of CELAC were all represented by 18 Ministers and other senior government officials. The meeting was presided over by Cuban Minister for Culture, Julian Gonzalez, Minister of Culture and Heritage of Ecuador, Guillamme Long and Director General of UNESCO, Irina Bokova. At the Meeting members ratified the concept of culture as an engine contributing to the sustainable development, in harmony with Mother Earth, for the eradication of poverty and to diminish social inequalities present in the region. The 3rd CELAC Meeting also approved the CELAC Cultural Action Plan 2015–2020 and agreed that it should be the element and instrument of integration of the cultures and identities of our region and for strengthening a culture of peace, in accordance with the Proclamation of Latin America and the Caribbean as a ‘Zone of Peace’. In addition, the Meeting received UNESCO’s elaboration of a Work Plan for Culture for Latin America and the Caribbean 2016–2021 and simultaneously welcomed and united in celebration of the Tenth Anniversary of the adoption of the UNESCO Convention on the promotion and protection of the diversity that characterise Latin America and the Caribbean identities in terms of multi ethnic, multicultural and plurilingual societies, thereby contributing to the sovereign rights of all our peoples. Attendance to the ALBA CULTURAL Meeting was Grenada’s first since officially joining ALBA in 2014. Eleven (11) Ministers of Culture from the Caribbean and Latin America attended the Meeting, and among other decisions, ratified their commitment “to favour the cultural integration in the region, stimulate the active participation of communities in cultural processes, preserve the cultural heritage, including actions directed to repatriation and frontal fight against illicit trafficking of cultural properties and the development of creative economies”.